I really believe in never-say-never because I am in adoration with this pair of sparkle UGG boots. For the longest time, I resisted UGG but upon seeing this pair of savvy sparkler, I find myself searching high and low without much success. So far, I can only find the gold color which is not really my cup of tea. If I can have my pick, I want the gray then the black. Savvy Sis is in adoration with the gray as well. And at $170, the price isn't too bad at all. What do you think? *Update: Nordie is going to have a reshipment in Feb in case anyone is interested. Neiman Marcus didn't even get them. No, couldn't do this. To me Ugg boots just shouldn't have sequins. Not really a fan. I like sequins on heels and things, but with UGGS being so clunky, the sequins just look awkward to me. I was surprised by how much I love these! The black ones look great in person! For boots, it's too much sparkle for me, but I did purchase a pair of Alice & Olivia for Keds sequin sneakers at Saks. They're super cute! i've heard that UGGS are one of the few boots that REALLY keep your feet warm in extreme cold, but I haven't found any i loved, until now! these are so cute! Gal pal suggests I tried on a pair of UGG short boots first before running around trying to find these sparkles just to see if I even like the shape. 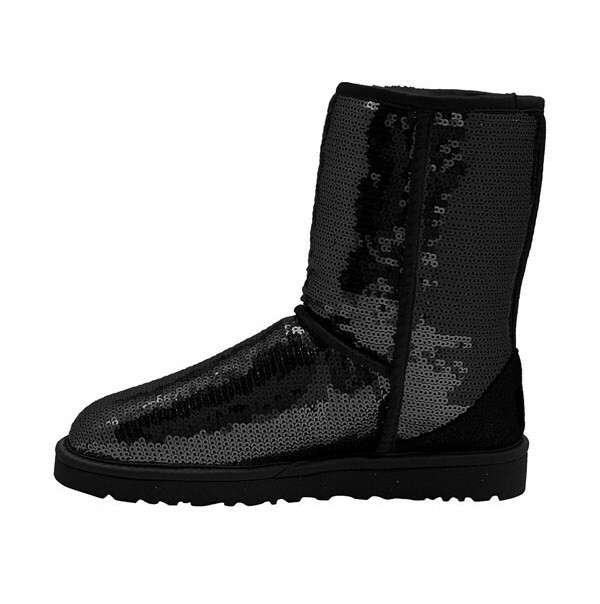 I'm not a big UGG person at all, but I must say these are cute. I prefer the gray as well, but I like the black also. Not in love with the gold...they seem a little too flashy for me! Great ! And I wish you a happy new year ! 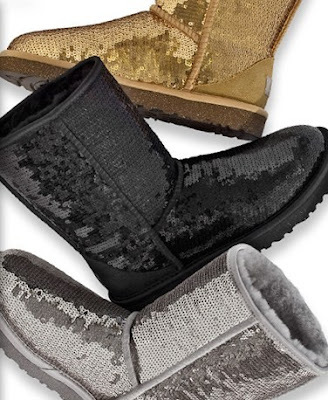 too much sparkle on Ugg for me personally~ but they do look comfy!